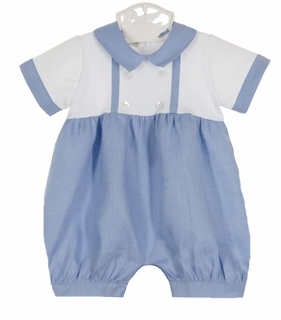 This beautiful periwinkle blue and white linen romper is made by Marco & Lizzy, a leading manufacturer of classic smocked children's clothing. Perfect for Easter, portraits, and all summer long, the romper has a white knit yoke centered with decorative shell buttons. 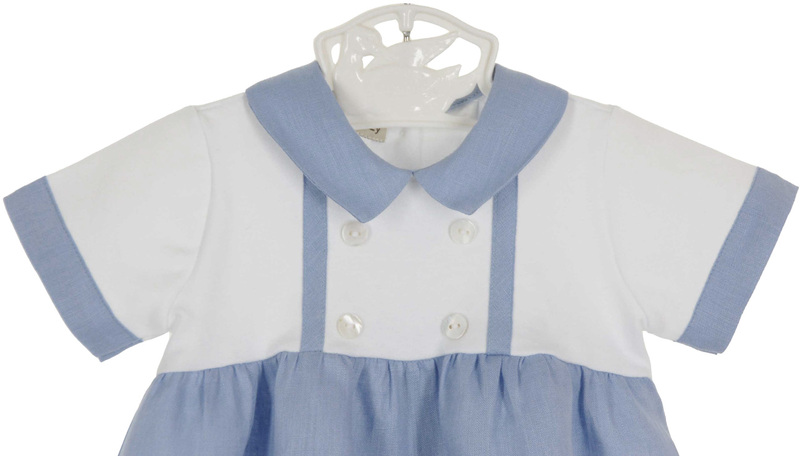 The Peter Pan collar, short sleeve cuffs, vertical trim bands, and full romper body are a lovely shade of periwinkle linen. It has a back buttoned closure and snaps in the crotch.